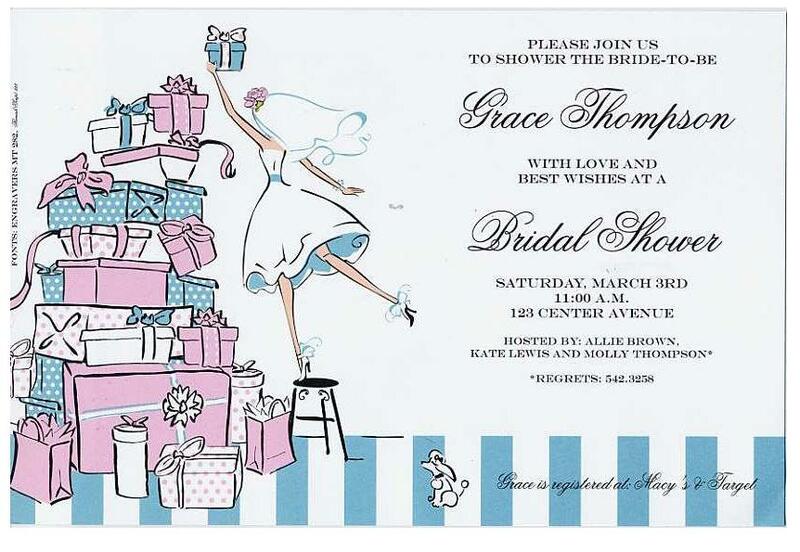 A contemporary bride is featured on this invitation. 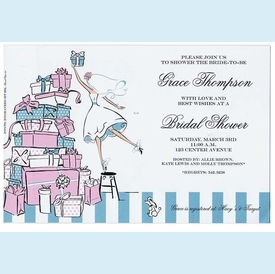 She carefully balances herself on a stool as she stacks her wedding/shower presents. The presents are wrapped in light pink & teal blue wrapper. Background is white cardstock. NOTE: Only 6 sets left!